Lower Sackville, Jul 7, 2018. 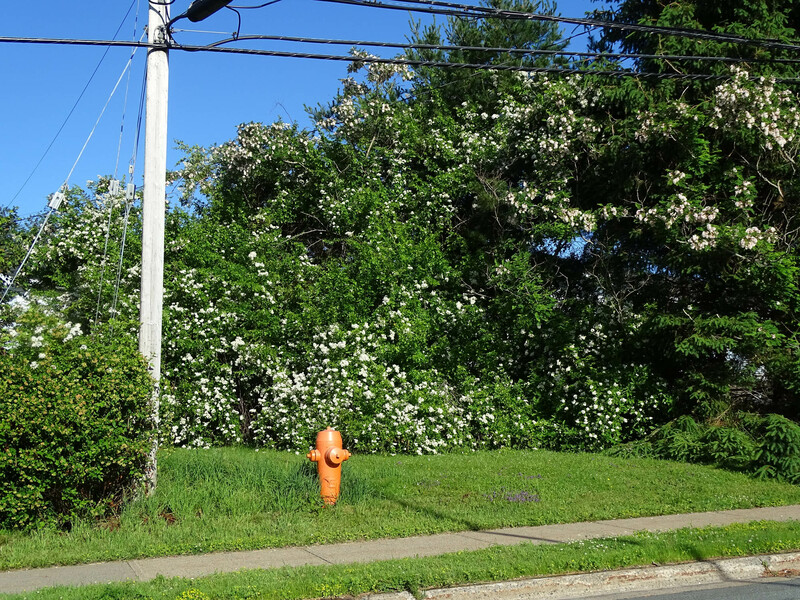 A colleague from my Dal days had a question for me: is the white rose I have in my yard an “invasive”? 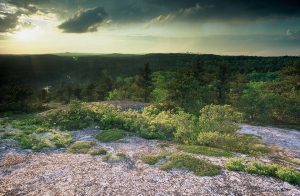 He had been cycling the Grand Pre to Blomidon route in The Valley and had seen a white rose climbing over trees. 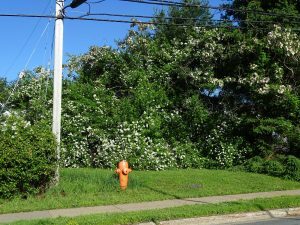 He was already battling what looked like the same species growing over his garage from a neighbouring property and had another, smaller plant in his own yard. Is it “invasive”? Should he take it out? 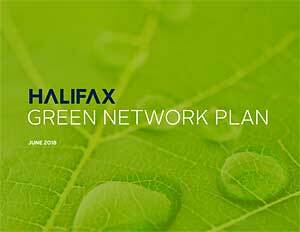 The Halifax Green Network Plan, under development since 2014, was released on June 21, 2018 and on June 19 went to the Community Planning and Economic Development Standing Committee (see Agenda) wherein Walter R’s words, “it passed with flying colours”. The next step is for it to go to Halifax Regional Council, possibly on Aug 14, 2018. Stay tuned! 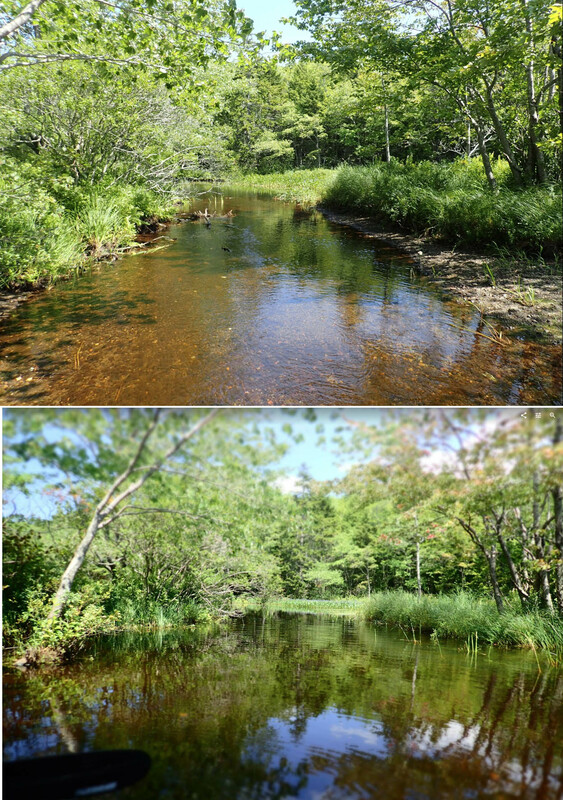 – A letter from WRWEO/The Bluff Trial supporting the HGNP highlights special assets of the proposed Sandy Lake Regional Park. 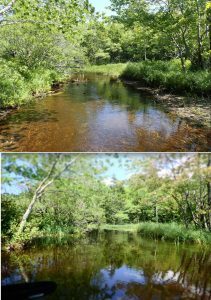 The organizing committee for the Sandy Lake Regional Park Coalition has produced a colourful, fact-filled, four page pamphlet promoting formation of a Sandy Lake Regional Park for Halifax. 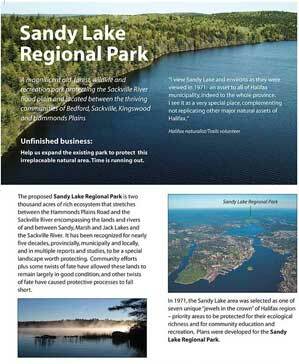 The pamphlet outlines the history of the proposal for a Sandy Lake Regional Park, cites reasons why such a park remains highly appropriate, and lists the current members of the Sandy Lake Regional Park Coalition. Some beautiful colour photos speak many additional words. View a low-res web version here.